Mimosa hostilis, or jurema, is a shaggy tree with white blossoms, local to southern Mexico, Central America and Brazil. Present day psychonauts prize it as a wellspring of DMT for use in analogs of ayahuasca. Indians from the eastern Amazon utilized beverages produced using the root to instigate shamanic states, however its utilization diminished in the twentieth century as indigenous societies were annihilated and ayahuasca progressed toward becoming advanced, most prominently as a formal inebriant by a few synchronistic (mixing African, Indo-American and Christian thoughts) holy places in Brazil. A jurema clique that expended drinks produced using mimosa was portrayed in 1788 and was thought to have vanished however is getting to be noticeably prominent indeed. Jurema is additionally utilized by Afro-Brazilian religions of Candomblé and Macumba. The storage compartment and (particularly) root bark contains the visionary tryptamine DMT, and a few saponins that are naturally dynamic. A pack contains 28 grams of powdered mimosa. Mimosa has a tendency to be blended with the MAO inhibitor Peganum harmala to make an ayahuasca simple, for which 5-20 grams is utilized. Gone up against its own, as a cool water imbuement, higher measurements are required (25-45 grams). Essentially absorb water and drink. 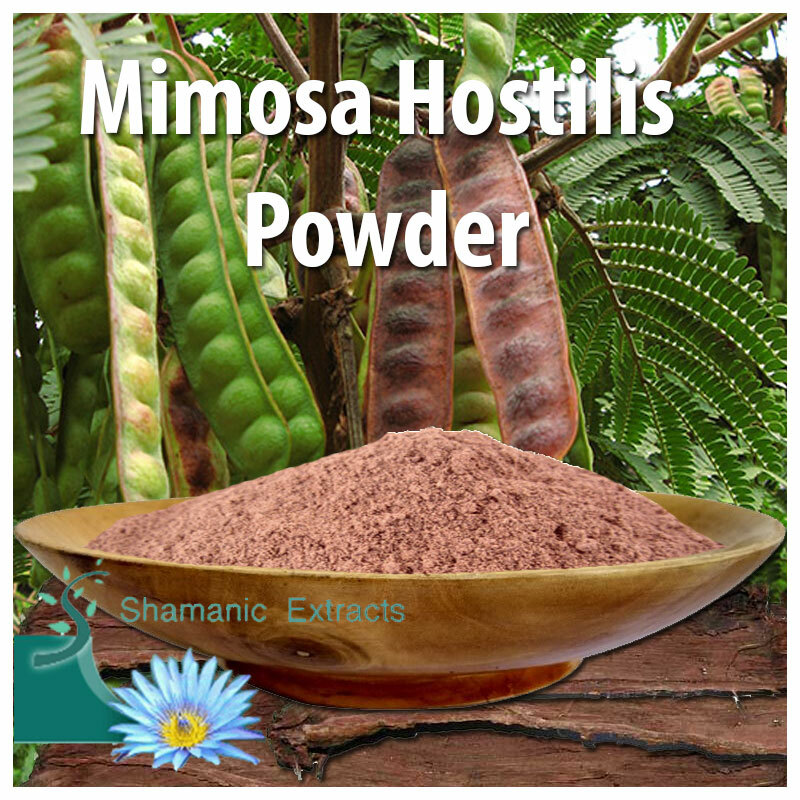 Share your experience about Mimosa hostilis powder with other customers. Submit your tips or thought on this product, be detailed and specific.